This is a belated announcement, but never-the-less important. We are proud to say that our very own Cariwyl Hebert is a Google AdWords Certified specialist. In order to achieve Google AdWords Certification one must study a series of lessons and then take a rigorous exam. Cariwyl passed the exam with flying colors and is our in-house AdWords specialist. We’re very proud of Cariwyl and very pleased to be able to offer this qualification to our valued clients. If you are in need of Google AdWords assistance, please give us a call at 415.305.6403. Thank you! When you love what you do, it doesn’t feel like work. In fact it feels more like being on vacation. Last week I was on vacation in Salt Lake City Utah. 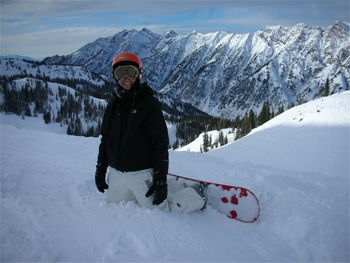 I was snowboarding at a fabulous resort called Snowbird. Snowboarding Snowbird! Lucky me indeed! I snowboarded for three days and then took a day off from vacation to get some work done. If work is work for you, you’re probably thinking I’m crazy, but if you really love what you do, you understand the meaning of work being fun. When work is fun and fulfilling it makes you smile, it’s motivating, it can make you laugh and feel happy. Admittedly I was a bit concerned that I enjoyed my day off from vacation so much, but then I looked at this video created by Click to Play Media and saw how happy this work makes me. The video came out of an opportunity to consult with a very interesting start-up called iConfident. The make dental implant software to help dental professionals improve communication, build loyalty, and grow their practice. We looked at their website in terms of search engine optimization and discussed social media opportunities. Susby was collaborating with Click to Play Media who graciously produced this one minute video about Susby in the process. I think you can tell that how much fun it was. On days like this I really love my job. BIG thank yous to Anna, Brad and Stephanie at Click to Play Media and also to Rob, Robbie and Karoline of iConfident for allowing us to shoot. My advice to you if you’re not enjoying what you do: Find a way to play more. Do something that makes you smile, i.e. Do what you love, the money will follow. Connect, collaborate and start some conversations. The world revolves around relationships and communication and both are equally important. Are you working or playing? Today is July 15th, 2009. What’s the significance of that day? According to Wolfram Alpha not much, but it is the 196th day of the year in the 29th week. Is is trivia, possibly, and trivia is either interesting or meaningless, but there are some benefits to knowing about Wolfram. It’s mostly for mathematics and numbers geeks, but it can calculate things very quickly and offers a bunch of related information based on any search. Also there are numerous demonstrations and charts for all kinds of business functions. It’s a fun tool to play with and worth remembering when you’re looking for data and charts based on specific calculations. It doesn’t know everything though. 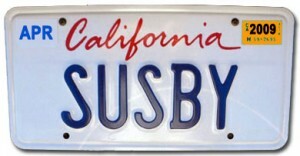 For example Wolfram doesn’t know that Susby.com was officially launched today. Well after nearly four months of getting the business up and running, here we are finally with our brand new site. We hope you like it. When I was in high school in Cape Town, South Africa, my friends called me Suse (pronouce: “Sooz”). 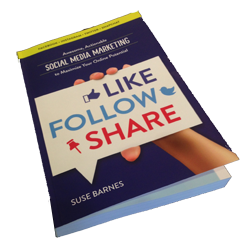 Then there was another Susan, go figure – there are millions, and even more “Susan Barnes”es – just look at Google and you’ll see. Anyway, I became Suse B, short for Susan B. I also created handmade birthday cards for all of my friends and family and signed them with By Suse. So Margaret Barlow, choir mistress and piano teacher extraordinaire started calling me “SusBy” – for By Sus(e). From then on I have been SusBy or just Susby and that’s the name of my new consulting firm. I am Susan Barnes, aka Susby and the firm is Susby Internet Solutions Consulting, aka Susby IS Consulting.